I sent my dad shopping for a new laptop the other day and discovered something that I didn’t expect. We are less than two months away from the launch of Windows 8, despite this there are no notebooks currently on offer that give a Windows 8 specific hardware experience. The local computer store stocked a large range of notebooks of all sizes and capabilities, however the only mention of Windows 8 was the discounted upgrade on offer if you purchased a Windows 7 equipped machine today. His previous notebook was an Acer Ultra-Portable, a 14″ machine with an optical drive, it was light and portable. The obvious replacement would have to be a Ultrabook of some description. After some time looking through the range of Ultrabooks available from the usual suspects; Acer, Sony, Samsung etc it wasn’t surprising that he ended up in the price range of Apple MacBooks. The purchase became obvious and dad became the proud owner of his first Mac. Having been a Windows user for years and not being one for change I went ahead and installed Boot Camp using the default Apple Boot Camp installer. The process was painless and a short while later he was up and running with Windows 7 just as he was with his old notebook. With one important difference…. the trackpad, it was awesome! The feel and accuracy of the track pad, coupled with the drivers supplied by Apple made the experience vastly improved over any other trackpad I had used in the past. 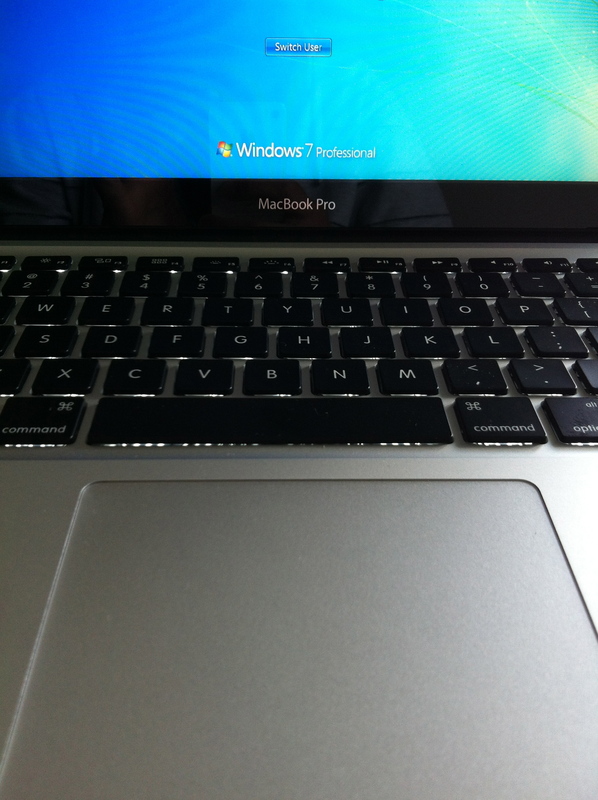 Windows 7 and Apple’s MacBook Pro… the perfect match! And then came the realisation, with Windows 8 on the horizon there is yet to be a defining hardware experience for the use of what was known as “Metro”, the tiled interface of Windows 8. Did Apple just fill that void? With the multi-touch trackpad giving accuracy and a high quality experience with Windows 7…. the Windows 8 experience stands to be one of the best, lending itself to a gesture based interaction, and a plus… without the awkward touch interaction of a screen that is at 45 degrees or so to your keyboard… the trackpad on the MacBook could be the best Windows 8 experience so far! Upon its release I will be introducing dad to Windows 8, he already uses an iPad and is used to the app-centric world of iOS, Windows 8 may well be a step in the right direction for him. This entry was posted on September 4, 2012, 11:01 am and is filed under Hardware, Microsoft. You can follow any responses to this entry through RSS 2.0. Responses are currently closed, but you can trackback from your own site.